I am a Puppy Educator for RSB Guide Dogs. My RSB Guide puppy therefore goes everywhere with me. Yes, even the toilet. This week I have been honoured at being able to train my 10th RSB Guide puppy, and I am so excited. What is funny is that not only am I excited but so are my staff and fellow business owners that work in the same area that I do. Puppies are truly a bonus in the workplace. Why are they a Bonus? As a programmer, we need to take regular breaks for OH&S reasons. But remembering to do this and not just keeping on coding is not easy. However, if you have a guide puppy who is 8 weeks old, you need to take lots of short breaks for toileting reasons. It does keep you to a very regimented plan and routine. This timeframe of course extends as the bladder grows. Plus, you will find that no one is stressed around a lovely puppy. Plus, staff get loud or stressed or too excited, they are concerned about upsetting the pup. So people seem to take more care of fellow employees, and workplace conditions with a pup than without. I did not know until this last 5 months, that as an introvert without having a puppy, meeting people in business meetings is extremely difficult. 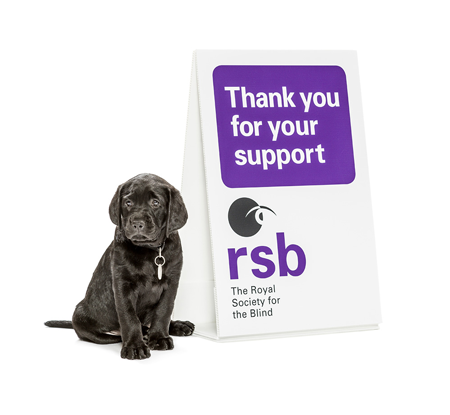 For the last 9.5 years, I have gone to business meetings and met all sorts of people and even though I am introverted, I have been able to chat, as nearly everyone has approached me and asked about the RSB Guide dog. Without one, I have really had to stretch myself. I have had to learn about how people stand, when you can approach, when you cannot, what to talk about, what not to talk about etc. A real challenge that I have been able to avoid due to being a puppy educator. Volunteering is a great way to meet like minded people. Friends today in a physical sense are like jewels. They are precious, hard to find a good quality one, etc. I have found that if you love doing something and you do this in a group, you generally meet people that have the same love and passions as you do. I have found this to be the case with training an RSB Guide Pup. We are so lucky, with our puppy. Not only do we attend classes regularly and meet other people, but if we need a break, we get to know some wonderful ‘Aunts and Uncles’ (officially called Emergency Housing) for these lovely dogs. Plus if we are lucky enough to have a dog that makes it (very high chance with RSB), some of the clients are so lovely, that you get to watch and know your dog as they grow with their client. Facebook is also great, when watching family grow, do silly things etc. In the same way, I see my pup being the best guide dog, and the owner has a child or goes camping etc. with their dog; it is just like watching you kids grow up. The most common Question answered. If I earnt $1 every time this question was asked, I am sure I would be handing RSB a cheque for $1000’s. “How do you cope with giving up your dog?” My staff and I have now given up 9 dogs. So, I believe I can answer this. We never actually own the dog; RSB do. We are just privileged to be able be part of their lives and they of ours. If they make it, then usually they are about 18 months old and in human years they are about 21 years old. The first few years of a pup’s life they age faster than a human; then they slow down at about 2 to 7 human years per dog year. As I don’t own the dog, they have just been part of my life and I am basically their mum. Then when they move on, they still know me – even years later. Just like your own children move on, they live their lives, but they never forget their mum and dad. IF you are ever unsure, see if you could make it to a graduation ceremony. It is really quite interesting, how these dogs with their new clients, react when they see their B & B (Bed & Breakfast) educators (Last part of the training) or puppy educators.